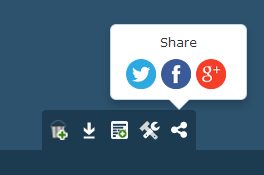 A new update to the Site Explorer tool introduces added share functionality. The new share button located on the right hand side of the page will allow users to share their Site Explorer results across Google+, Facebook and Twitter. The new feature will be very useful for those of you who want to share you Site Explorer results with your friends and followers across social networks.